For this week's ep of my podcast The Corner Radio I've got a PACKED house with my peoples Yaw, Nick, JR, Greg, Jas and DJ Wreck 1 chopping it up about what are their top 5 attributes of a dope MC. So we're breaking down lyrics, storytelling, flow, voice, emotion, performances, freestyling, punchlines, diction, personality, social commentary, content, wittiness, etc. 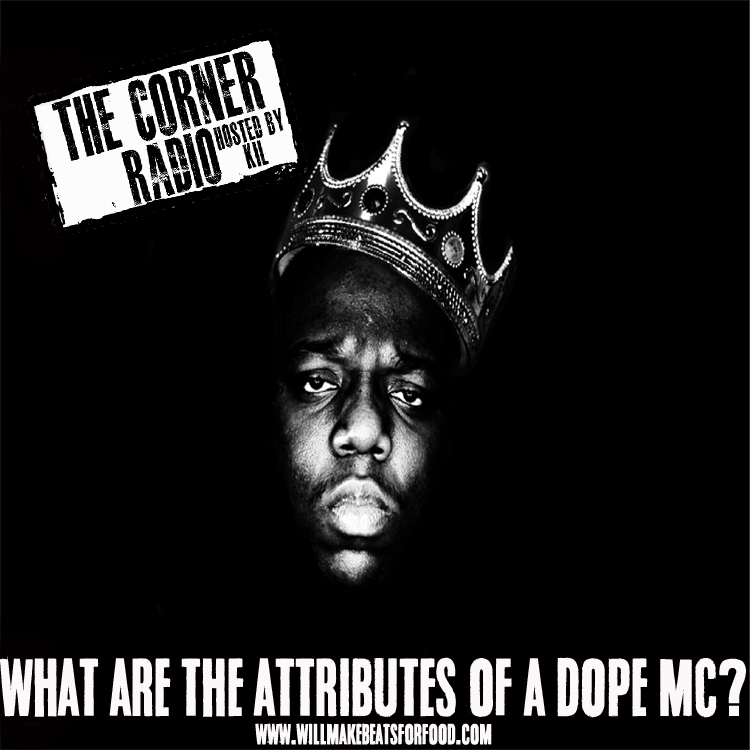 We're also breaking down what MC comes to mind for each attribute we name, why Black Thought doesn't crack my top 10 MC list, why me & Greg think Joe Budden is hip hop's dopest storyteller, did Em really KILL Jay on "Renegade", is Em really the best lyricist ever, why Royce is SO slept on and why BIG has every single attribute that we name! ANOTHER dope ep ya'll and don't forget to subscribe to our You Tube Channel!